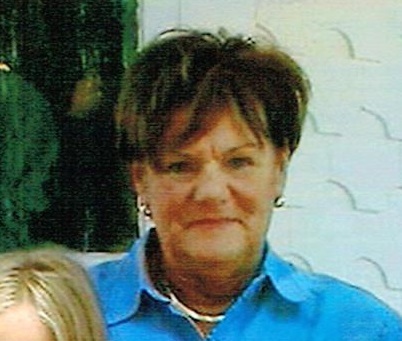 Mary Jeanine Phelan Gross, 76, of Sioux Falls, SD passed away suddenly Sunday, September 28th, 2014 at her home. She was the third oldest of 4 children and was born on June 10th, 1938 in Sioux Falls, SD to Raymond and Margret (Smith) Phelan. As a little girl, Mary was known as â€œIrish.â€� She so loved her Irish heritage; to say she was a proud Irishman would truly be an understatement. She attended grade school and high school at Cathedral. She graduated from Cathedral High School in 1956. Mary was a proud â€œNorth Ender.â€� Growing up she loved working in their family owned Grocery Store, Summit Grocery. On October 25, 1958 she was united in marriage with the love of her life Cyril Thomas Gross. After marriage, they moved to Mitchell, SD where â€œTomâ€� worked at Schiffâ€™s Shoes and Mary was a homemaker. They had their first two children Kimberly and Kevin while living in Mitchell, SD. In 1964 they moved back to Sioux Falls, SD where they had their next three children Patrick, Jeffrey and Shawn. Mary could always be found and heard at her kids and grand kids sporting events often cheering out â€œget tough Grossy!â€� Maryâ€™s 11 grand children and 2 great-grand children brought her tremendous joy. Sheâ€™d never miss an opportunity to share or brag about one their accomplishments. She passionately loved her church, St. Josephâ€™s Cathedral. Often she would share fond memories of the Priests and Nuns at the Cathedral. Grateful for sharing her life with her children: Kimberly Hines, Sioux Falls, SD, Kevin (Laurie) Gross, Glenwood, MN, Patrick (Serena) Gross, Brandon SD, Jeffrey (Amy) Gross, Sioux Falls, SD and Shawn (Becky) Gross, Wake Forest, NC; her grandchildren: Steven Hines, Michael Hines, Matthew Hines, Natasha Gross, Keely Heyer, Tanner Gross, Emily Gross, Abigail Gross, Zachary Gross, Briana Gross and Nicholas Gross; her great- grandchildren: Eli and RiLynn Hines. She is also surveyed by one brother: Richard (Mary Jo) Phelan, Omaha, NE and also nieces, nephews and cousins. She was preceded in death by her husband, Tom, her parents Raymond and Margret, one brother Denis and an infant sister Patricia. Visitation will be Thursday, 5 PM at Barnett-Lewis Funeral Home with a Scripture Vigil at 7 PM. Mass of Christian Burial will be Friday, 9:30 AM at the Cathedral of St. Joseph.